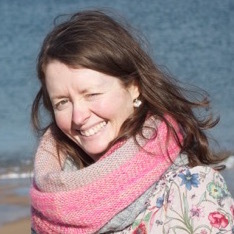 Joanne is an IP Creator, mixed media artist /beachcomber/writer and the creator of the Original Idea and Characters of BAFTA nominated pre-school show ‘Lily’s Driftwood Bay’. It was whilst filling her pockets and cottage with beach finds on the Scottish Isle of Arran that she first spied their potential to create whole new worlds of imagination. She is currently dreaming up new ideas for TV and picture books inspired by what she finds.